To foster an appreciation for poetry through reading, writing, and performing this art form is the main purpose of Poetry club. The budding poets from the middle school had an enriching and enticing experience this morning with Mr.Jayant Chibber of GIFLIF 2017 fame. He not only shared one of his work with the students but also enlightened them with nuances of poetry writing while sharing his journey as a poet. 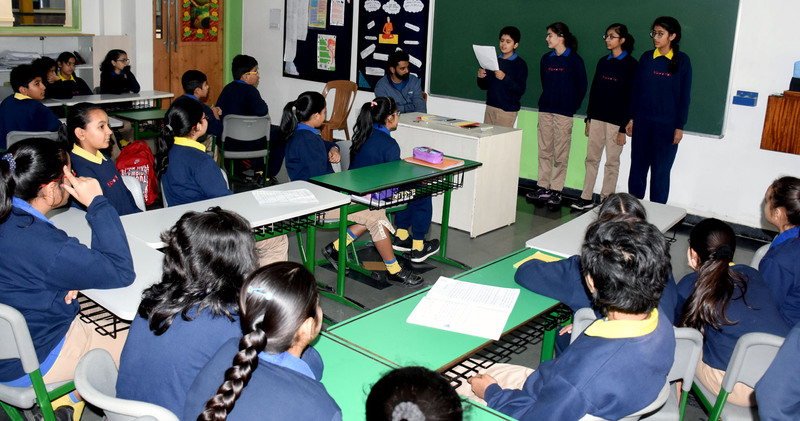 He advised students to be more expressive while reciting a poem without diluting the essence of it. 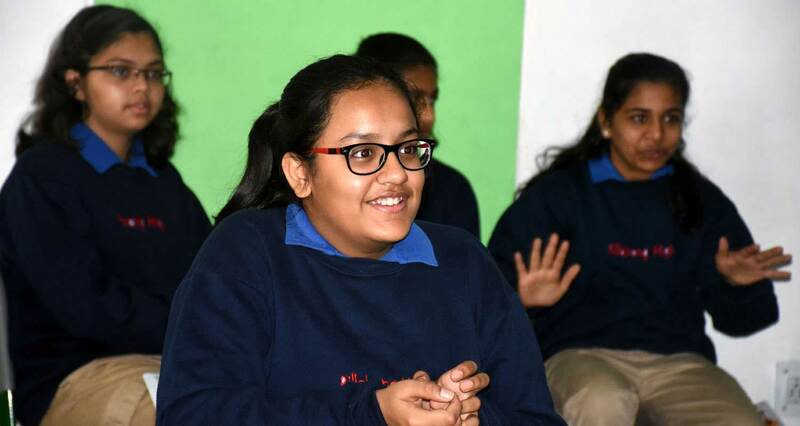 Mr. Jayant was wonder-struck by the immense talent children exhibited while sharing their poems with him.